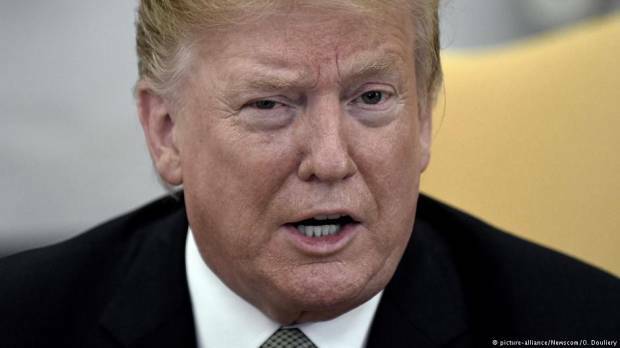 The Republican-controlled Senate voted on Thursday to terminate US President Donald Trump’s declaration of a national emergency on the border with Mexico — a move he implemented in order to secure funds for a controversial border wall. The vote in the upper chamber of the US Congress was 59 to 41 — with 12 Senate Republicans joining the Democrats to pass the resolution. The Democrat-controlled House of Representatives already passed the resolution in February. The president previously vowed to veto the measure if it passed both chambers of Congress. Despite Republicans crossing party lines to rebuke Trump, it is unlikely that the US Congress has the two-thirds majority needed to override his decision. It is likely that the national emergency issue will be ultimately decided by the courts — with two Trump-appointed judges currently sitting on the Supreme Court. Republicans who voted to end Trump’s national emergency at the US southern border said they were worried that future presidents could use the tactic to bypass Congress in order to secure funding for their projects. In an attempt to sway his fellow Republicans ahead of the vote, Senate Majority Leader Mitch McConnell argued that Trump was “operating within existing law.” If lawmakers did not like the presidential powers currently granted under the National Emergencies Act, “then they should amend it,” he said. Thursday’s vote was the second Senate defeat for Trump this week after lawmakers voted to end US support for the Saudi Arabia-led coalition in the war in Yemen — rejecting Trump’s policy towards the kingdom.